‘Filler’ (for liquid compounds) is a generic term used to describe particles of a particular substance that has been ground down to a very fine powder like dust. These fillers can take numerous forms and vary greatly in usage and price. Of course these fillers include metals such as iron, aluminium and brass but there are many others. Fillers are also available in various types of stone such as slate, onyx and marble. 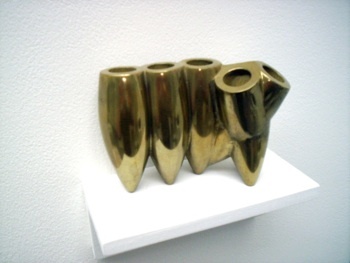 To produce castings that simulate some of these materials, including metal, in almost every way, we can saturate these fillers with liquids compounds such as resin or plaster. The liquid acts as a binding agent for fillers allowing the powder to take on many properties similar to that of a solid. How do I make Cold Metal Castings? 1. To produce these effects, we must first pour a little filler powder into a clean, dry mould (this works best in a silicone mould) and rotate the mould in every direction, coating the moulds’ inner surface with a fine layer of metal filler. Tap out the excess filler to avoid dry spots on the casting. 2. The next step is to saturate the resin with metal filler. This works best with GP resin because of its translucency, surface quality, price and availability but mostly because it allows you enough time after you have added the catalyst to stir in the filler, which can often take 5-10 minutes or more depending on the size of your casting. 3. Metal fillers are usually mixed at a ratio of 2 parts metal filler to one part resin by volume not weight (as most metals have a different atomic mass or weight). However, there are no set rules about how much you can add. 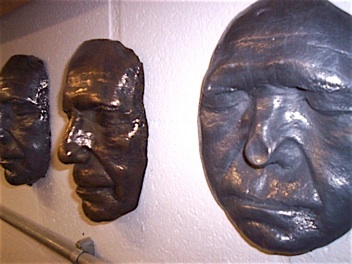 Often the best and most convincing metal castings are achieved through continuing to add filler until the resin becomes a thick (but pourable) paste. This thick paste is ideal for making a slip cast (a shell of metal/resin) which can be filled later with plain resin or expanding foam, effective at keeping down the cost of making larger castings. 4. Once cured and removed from the mould we may begin sanding the surface lightly using wet & dry finishing paper, 340 or 400 grit is perfect for most castings. Once sanded you should notice it looks a little like brushed metal. This surface can now be polished using a buffing wheel or a cutting compound like ‘T-cut’ or ‘Brasso’ on a soft cloth. Once the surface is free from scratches made by the sandpaper it should like just like polished metal. For an extra special shine, buff with a dry, soft cloth. Hard and fast buffing is the secret to a good finish! If you are using GP resin (a Polyester) for your casting, you must understand the principle of altering the catalyst ratio to suit your work. 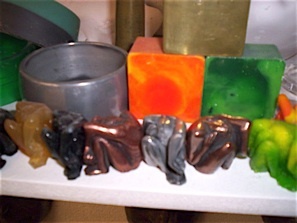 You must be aware of the relationship between volume and surface area before you begin casting. If you do not, you may be endangering yourself and other workshop users’ health. How do I make Rusty Castings? 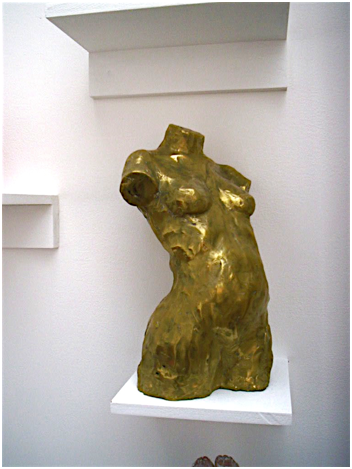 To produce rusty looking castings we can use plaster or resin. Although plaster is best as it contains water already. 1.To make a rusty resin casting we must first cast the object using ordinary GP resin, once this is cured we remove the casting from the mould. 2.Preparing more resin, we now paint the casting with a thin coating of resin. While this layer is still wet, dust the surface with pure iron powder then leave to cure, being careful not to touch the surface until the resin cures. 3.Once cured, we can accelerate the natural oxidizing process by spraying the iron powdered surface with vinegar and a generous sprinkling of salt. Left in a damp place for 2-3 days will produce impressive effects. 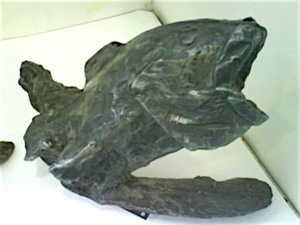 1.To produce a rusty plaster casting, we use the technique of powder coating the mould first with iron powder. 2.Next, we mix the plaster with iron powder at around a 1 part iron to 3 parts plaster mix ratio. Then mix with water to the correct thickness and pour into the mould. 3.When the plaster has cured remove it from the mould and wrap it in wet rags, or leave it in a damp place. Again salt and vinegar will accelerate this process although the plaster’s water content will help to oxidize the iron content, turning it into rust. These methods give the impression of an ancient, corroded piece of iron work. Sand can be added to adjust the texture or give extra strength to regular plaster it also helps it to withstand high temperatures, ideal for ‘lost wax casting’ process used in the making of ceramic or glass ware. ‘Fillite’ made of pulverized fuel ash from coal-fired power stations, It consists of hollow aluminosilicate spheres or micro spheres which can be used to reduce weight, improve thermal insulation, and reduced shrinkage, crushed pumice stone has a similar effect. We may also use ceramic ‘grog’ which is a mixture of various types of fired clay ground into various grades, from sand to gravel, this, when added to resins can be used to achieve a stone like finish the colour and texture of which can be altered with the use of pigments and/or other fillers to alter the texture. Indeed any material, which is free from water content can be mixed into the resin to simulate virtually any type of texture or finish. Your imagination is your only limit! Bronze, aluminium, brass and copper prices are all similar at around £4.00-£6.00 per kilo. Iron is much cheaper at around £2.00 per kilo.